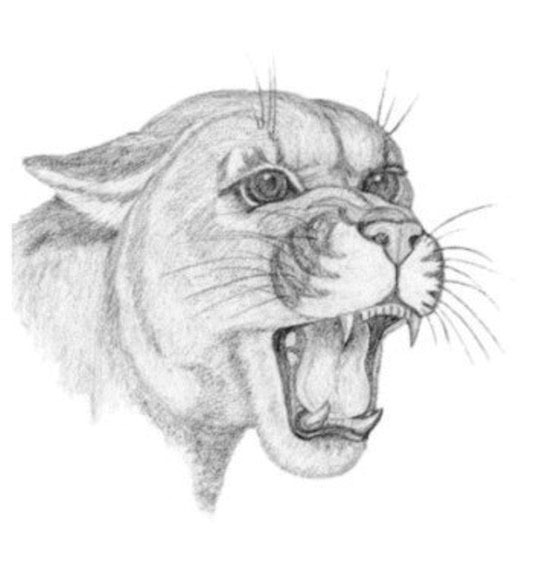 A pencil portrait of a cougar that shows the details in his face. The original is about 8 inches square. Image Kind, Blue Canvas, Red Bubble and Zazzle.